Figure 1-7. Backhoe working ranges. illustrated in figure 1-8 and dimensions are listed below. handled with the clamshell bucket. 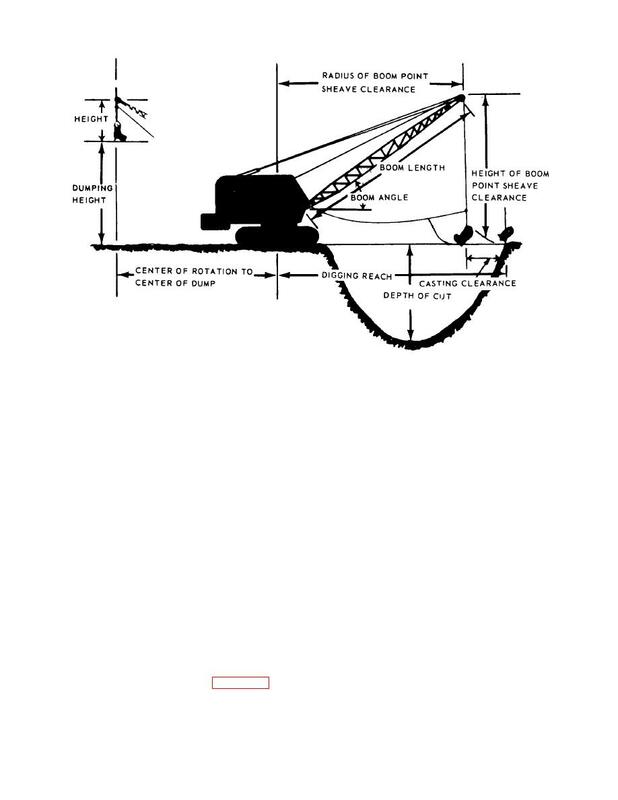 sure to add bucket weight to determine total load lift.